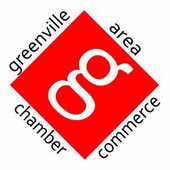 Candlestone - Website of greenvillebusinessnetwork! "West Michigan’s PREMIER Golf, Banquet and Dining Facilities. Candlestone is your complete golf resort, with hotel, on-site restaurant and banquet facilities to host parties of up to 350. Since opening in the late 70's, Candlestone has stood as one of West Michigan's finest golf courses. New ownership of the entire resort in the summer of 2008 has seen improvement after improvement. Along with new everything here at Candlestone, there's a new attitude that ensures your enjoyment on every visit. Candlestone features 31 new tee complexes, every sand trap on the golf course was re-shaped and new USGA spec sand was added. A brand new fleet of electric golf carts have been purchased along with a new bag storage facility and new bag drop area. There are many more improvements to the facility to come. They have on-site lodging! For visitors or overnight guests, all of their lodging accommodations have been upgraded for your total comfort. The entire staff and new ownership is determined to make Candlestone a better golf resort. Come out for a round. Check out all of the sparkling new facilities – on the course and off. Call now for more information 616.794.1580"